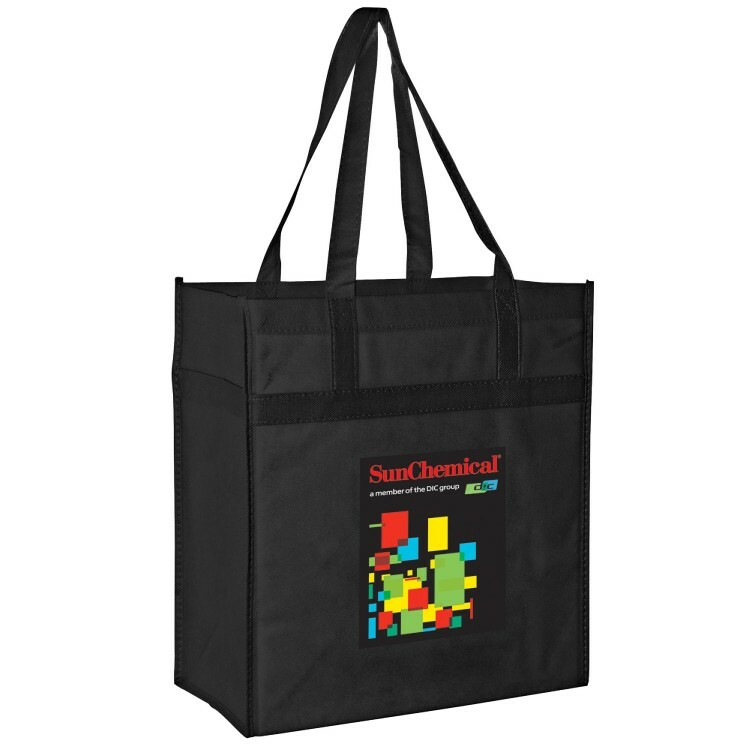 This 100GSM non woven polypropylene grocery bag with a polyboard insert included features a horizontally reinforcement for the handles leaving a large imprint area on which you can add your logo using our 4 color process color evolution heat transfer process. Beautiful 4 color process printing at a fraction of the cost of traditional 4 color process. 100 per case @ 22 lbs. • Free setup for the first side. • Maximum Artwork Imprint Area: 8" wide x 8" high on each side. • Maximum Gusset Imprint Area: 4" wide x 7" high on each side. • Second side run charge is $1.30 (C).